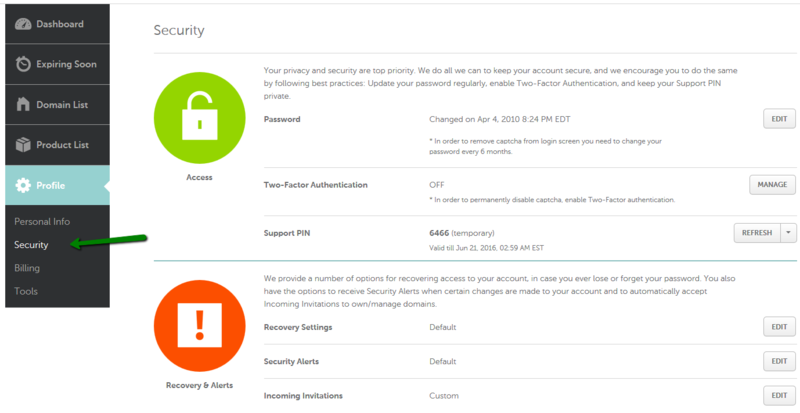 How can I adjust security settings for my account? 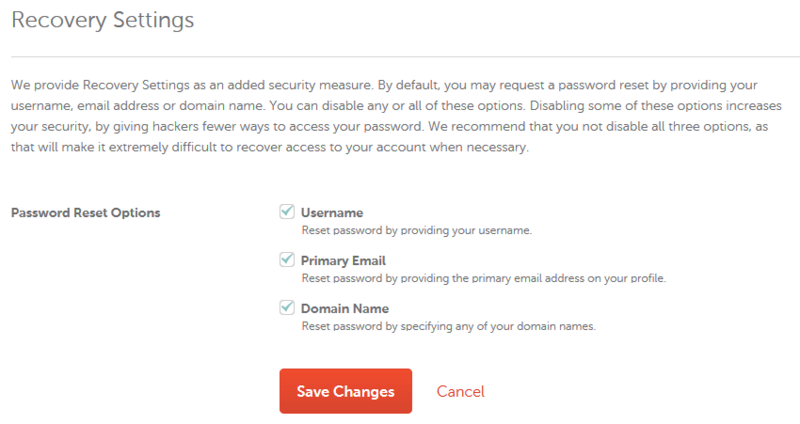 In this section you can change your Namecheap account password, Support PIN and Two-Factor Authentication settings. 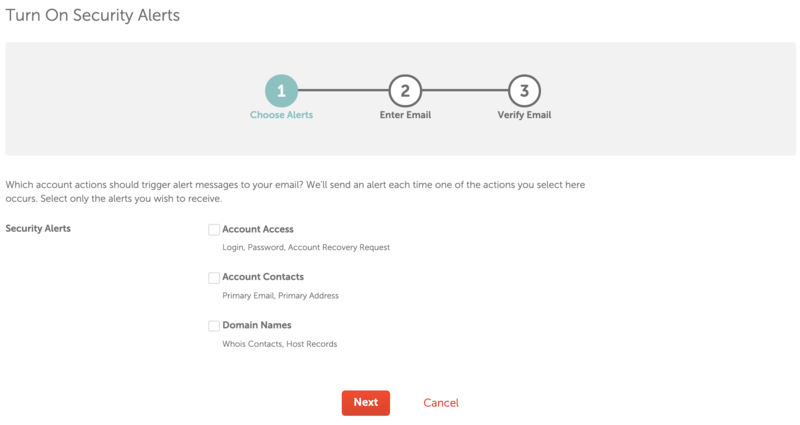 It allows to manage recovery options, security alerts and incoming invitations from other Namecheap users. NOTE: The Host Records Alerts are not sent out for the third-party registered domains that are pointed to PremiumDNS/FreeDNS nameservers. 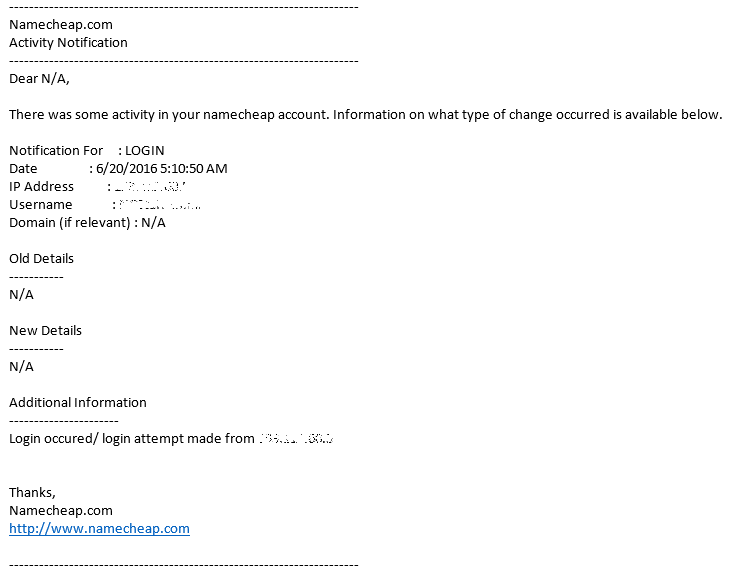 As an alternative, it is possible to enable Login Alerts.